Every spring I like to imagine the places we'll go when summer comes. We could return to St. Louis and catch another Cardinals game. We could save our pennies and visit Joel's family in Seattle. Or we could even get adventurous and check out a new city within driving distance, like Kansas City or Omaha. Decidedly not the Riviera Maya, but we have three kids. Any Midwestern city with a children's museum or a restaurant we haven't eaten at 126 times will do. But the reality of vacations in our household is a bit different. Between basketball camp, baseball games and clinics, Joel's summer lesson schedule, orthodontic consultations (and the accompanying promise to pay thousands of dollars and/or lop off several limbs in exchange for Cael getting a straight smile), we can often only squeeze out one or two days to get out of the house. 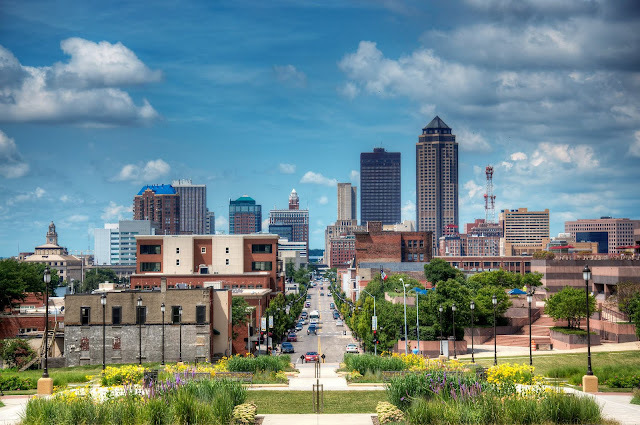 In those times, we usually opt to spend the time in Des Moines. My sister, who lives in nearby Ankeny, likes to remind me that Des Moines isn't that different from Cedar Rapids. There's truth there. But they have a Bass Pro Shops for Joel and a Williams Sonoma for me, so we decided to seek out something entertaining for the boys. In past trips we'd checked out the Science Museum and glow-in-the-dark mini golf, so with a trip to Adventureland upcoming, we crossed all of those ideas off to make a short but entertaining list of activities for our one-night getaway. When time for Adler's nap had arrived and I'd secretly stashed our bags in the van, we told the boys we were going to run to the store and set out. I jotted down my thoughts as we enjoyed our time away. I can't imagine making this two hour drive without the iPads. How did the settlers travel west without Minecraft? Manifest destiny? I'd rather manifest silence. Thank goodness Adler is finally asleep. Isn't he sweet? I love to look at him when he's resting. He has the softest skin and the tiniest feet. I had better fix his blanket so that he doesn't get cold. Maybe I should pull down the shade so that the sun isn't in his eyes. Oops, it looks like Bunny might fall, and his sock is drooping a bit. Time for our first stop, Trainland USA. Wow, there are a lot of trains here. Look at all of these trains. Each of these cases has more trains than the last. I can believe that this is one of the largest displays of Lionel trains in the world, because there are definitely a lot of trains here. I bet Cael and Graham will not stop asking for a toy train for weeks. Man... trains. Time for the next stop. I hope the kids like the Neal Smith National Wildlife refuge. We should be able to drive through and see wild buffalo grazing! That was a really long drive just to see a football-sized pile of buffalo poop. 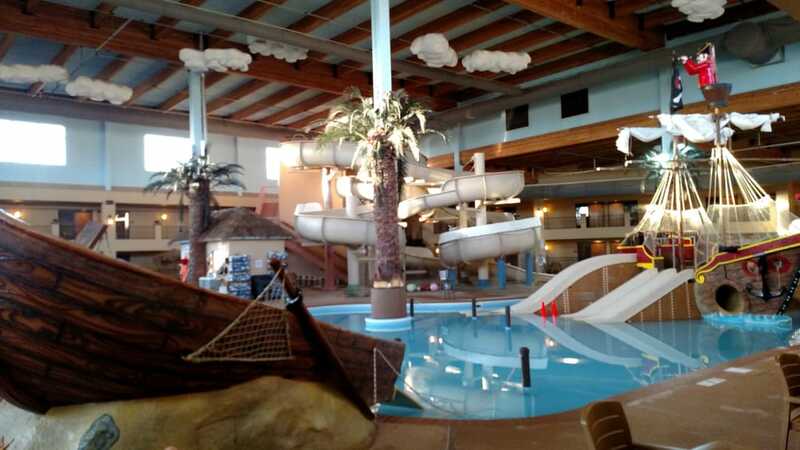 We're finally at the waterpark hotel... the boys will be so excited! Wait, why is the carpet outside our room soaking wet? Why is the carpet INSIDE our room soaking wet? I'm glad Joel is calling the front desk-- I don't want to deal with musty carpet. What's that? The phone isn't even plugged into the wall? This hotel is awful; I don't want to stay here. A free upgrade to a two-room suite? I love this hotel; I can't wait to stay here. The water is freezing. The boys are having a good time. Cael has suddenly figured out how to swim! The waterslide shot water up my nose so hard that I think I have chlorine in my cerebral-spinal fluid. Time for bed. I hope Adler settles down quickly and goes to sleep. 9:45pm. I wish Adler would settle down quickly and go to sleep. 10:25pm. Dear God, Adler, settle down and go to sleep. 11:00pm. I blame the trains. A Cracker Barrel! I love Cracker Barrel! Only now that I limit carbohydrates, I can't eat my favorite sourdough french toast. Or any french toast, for that matter. Can't have toast, either, pancakes, waffles, biscuits, hash browns, much fruit, or syrup of any kind. I guess Cracker Barrel is just a warehouse full of food I want but can't eat, and junk I don't want but will probably buy. Yeah, these incessantly barking dogs are better than a vintage model train! Said no mother ever. I'm glad we're headed over to Jordan Creek Mall. That place is huge, and I can finally peruse the copper and stainless steel paradise that is Williams Sonoma. Maybe I'll get myself a wood slab lazy susan, or a-- Ooh! Stainless steel corn holders! 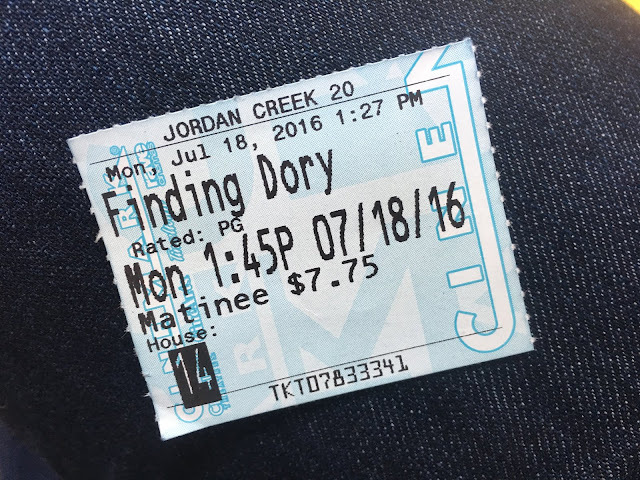 It's almost time to surprise the boys with a movie. I know that Cael and Graham will be happy, but I hope Adler can behave himself. Ten minutes in, and Adler is asleep on top of me. I'm not going to make the same mistake I did in the car-- I'm not moving an inch until the movie is done. Spinal damage, Muscle atrophy. Bladder prolapse! I'm glad we have a chance to meet up with my sister while Joel gets a haircut. We can meet back up with Joel and my brother-in-law for dinner after a time-out for the Oscar Mayer WienerMobile. Time to head home. iPads out, howling toddler, bad traffic... sounds like a great family vacation. Next time, I'll just buy the train.